An amazing peak, Annapurna is positioned on the western part of Nepal. In Sanskrit language, the word Annapurna means “filled of foodstuff” and typically translated as idol of the production. It was foremost successfully ascended in 1950 by Maurice Herzog and Louis Lachenal. Actually, the range of Annapurna peak takes in Annapurna I which has a height of 8,091 m thirteen which is the tenth tallest peak amongst earth’s fourteen peak over 8,000m. Annapurna Mountain soars from east part of the Kali Gandaki gorge which detaches from Dhaulagiri. The eye-catching views that will mesmerize you during Mt. Annapurna Expedition are Annapurna I (8091m), Annapurna IV (7525m), Annapurna II (7937m), Annapurna III (7855m), Varaha Shikhar (7847m), Dhaulagiri II (7751m), Dhaulagiri 1 (8163m), Nilgiri (6940m), Machhapuchhre (6993m), Tukche Peak (6920m) and more. 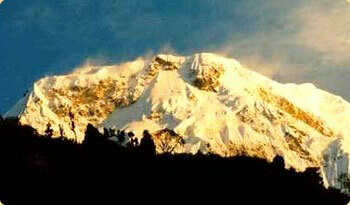 The most excellent time of year to go for Annapurna Expedition is in between October to May. The rest of the months of the year would be quite difficult to go for at Annapurna Expedition due to the freezing weather and rain. The major fascinations of the expedition are- you will climb up to Kaligandaki valley and pass via natural hot water spring, and meeting the generous Thakali inhabitants and observe their lifestyle; plus the arresting panorama of Dhaulagiri as well as Annapurna ranges will allure you. Boundless Himalaya Trekking and Expeditions is self-assured to put forward Annapurna Expedition along with the matchless service. Without doubt, Annapurna climb is intended to everyone from proficient climber to an inexpert but adventure enthusiast as anyone will be guided by an expert mountain guide.